Are you concerned about your pets’ diets and the long-term effects of feeding them processed and laboratory formulated dry food? Pets Meat Suppliers offers a wide range of raw meats for dogs. Given the fact that canine ancestors ate raw meat as part of their daily diets, it stands to reason that our dogs will benefit from what their bodies are naturally accustomed to. We offer an extensive range of raw dog food at our Mt Hawthorn-based store where you can pop in and chat to our team about your dog and its requirements. Educated and experienced, our staff is knowledgeable on each of our product offerings and the benefits they offer your furry friends. 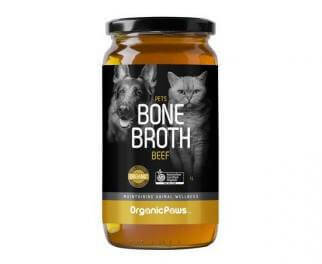 There has been much debate around the benefits of a raw diet for dogs, but it’s become clear that the canine anatomy and primitive instincts have not changed much from their ancestors who thrived on raw meat. Raw diets are prepared with vegetables and minerals and offer many benefits for your pet. Certain breeds of dogs do not have the digestive tracts to support dry foods such as kibbles, and raw foods is the best option to prevent issues such bloating. Find out which digestive issues your dog is susceptible to and we will advise you on the best diet for your furry friend. You can profoundly boost your dog’s health with raw food, which is still considered the best diet for dogs. The consensus is that raw food provides a natural shield against a lot of breed-related health challenges, which were not as prevalent decades go. If you consider that up to the 1940s, dogs were not fed dry foods, they only ate raw foods, which is a testament to the belief that raw food is still the best diet for canines. Pet food comes in various forms and mixtures, and you need to be 100% certain of what you are feeding your dog. Some raw foods are commercially processed, which can cause long-term health problems. Our foods are completely natural and boosted with organic vegetables, vitamins and minerals. Amongst the leading suppliers of pet food in Perth, we offer wholesale to stores, and smaller quantities with a (minimum 14kg) to the public, all from our factory in Osborne Park. Visit us today and find the right pet food for your best friend. Made from the finest cuts, all our products are created for the sole purpose of ensuring the health of your pet. Finding raw dog food in Perth that is not pumped full of chemicals and processed carbohydrates can be tricky. All our products are additive, sulphite and preservative free, and we are proudly supported by a wide selection of reputable brands such as Taste of the Wild, Nutra Gold, Science Diet, Royal Canin, Advance/Eukanuba, and others. Raw food is made to help your dog get the best out of his/her life. It’s designed to increase stamina and boost their immune systems. If you are interested in putting your dog on a raw food diet, contact us today. Our experienced staff are on hand to assist you with all your enquiries. Your dog’s health is our business. Pets Meat Suppliers prides itself on manufacturing Perth’s finest quality pet meat. We have extended our range in producing specialised diets for skin allergies, stomach sensitivity and overall well-being diets. All our meat products are PRESERVATIVE & ADDITIVE FREE. Therefore, to maintain its freshness, we suggest, when thawing out our products that you cook it to naturally preserve it or use it within 24 hours. With regret we do not have a Delivery Service available.